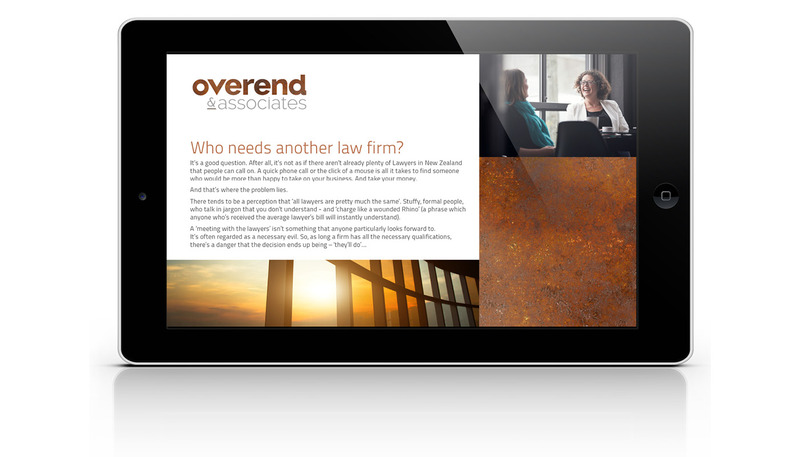 Branding and identity creation for new legal firm Overend & Associates. In early 2016 Karen Overend left her partnership in New Zealand’s leading legal firm Duncan Cotterill to start her own company – Overend & Associates. Her goal was to establish a firm with a straight talking, pragmatic approach to property and construction law. Simon Inc created a brand positioning platform for them which distanced them from other legal firms in the country. The visual identity aimed to challenge stereotypes of how a legal firm should look and feel, focusing on aligning them more closely with the sector they were operating within. Together with Karen we defined how they speak as a brand, with a range of positioning statements to form the basis for their communications. 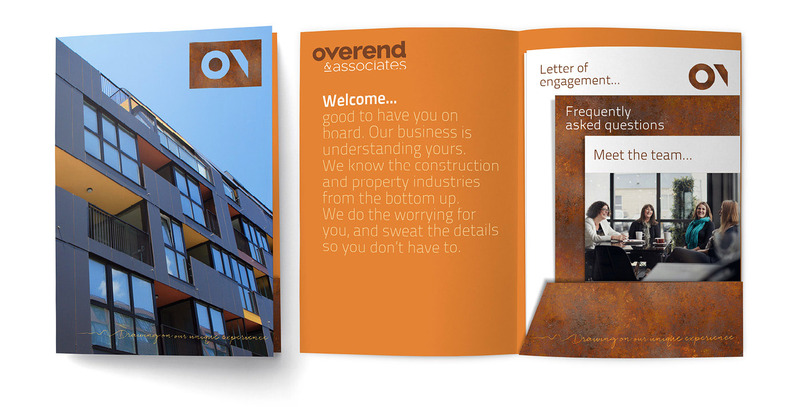 We designed a bold, clean and contemporary identity with a robust tactile quality based on the weathered steel construction of their own architecturally significant office building, and extended that identity across a suite of branded launch materials and comms. This included commissioning photography of the team showing them as “real” people, relaxed and approachable, far from the typical impression of how lawyers should look. 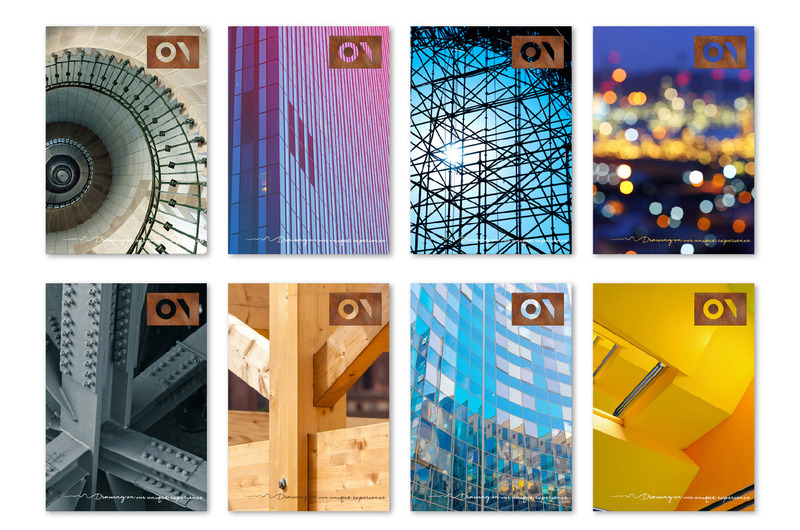 We also combined the portraits with images of construction materials and abstracted shots of architectural details to build a palette of elements that reflect the focus and the tone of voice of the firm and the brand.